Technopark, one of India’s largest IT Parks, organised the promotional event of c0c0n XI 2018, Security and Hacking Conference. 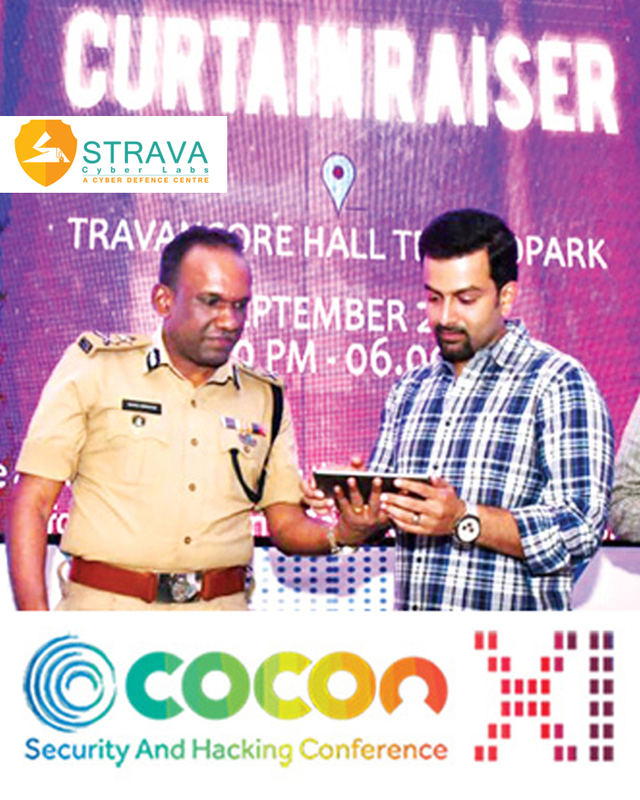 Actor Prithviraj Sukumaran inaugurated the curtain raiser, jointly organised by Group of Technology Companies (G-Tech), Appfabs and Strava Cyber Labs along with Kerala Police and Cyberdome at Travancore Hall on September 12. c0c0n’s 11th annual event will also be India’s longest running international conference on cyber security, data privacy and hacking. “It’s high time we paid more attention to personal security. Even details stored in our mobile phones can be leaked,” said Prithviraj, who has also starred as the protagonist in Malayalam film Robin Hood, which revolved around ATM fraud. “While I was doing the movie, the producer was sceptical about the possibilities of ATM fraud. He had asked me whether such things are even possible. Considering the present scenario, ATM fraud is not only possible, it has been taken to the next level,” he added. Prithviraj was in Thiruvananthapuram for the shoot of his directorial debut Lucifer starring Mohanlal. “Conferences like c0c0n are the backbone of cybersecurity in the State,” said Manoj Abraham IPS, IG, Thiruvananthapuram. In order to meet long-term security challenges in the digital arena of the modern world, Kerala Police has already launched a Centre of Excellence called Cyberdome. This was the net result of inspiration accrued from previous c0c0n conferences. Cyberdome aims at bridging the gap between the latest changes and innovations in cyberspace and the skill set development of Kerala Police for resolving and combating cyber threats. Kerala Police has won five prestigious national and international recognitions/awards for its unique initiative in the area of cybersecurity. Shefin Ahmed IPS, DIG; P Prakash IPS, Commissioner; Hrishikesh Nair, CEO, IT Parks Kerala; Alexander Varghese, Chairman, G-Tech were also present at the event. c0c0n XI 2018 will be held on October 5 and 6 at Grand Hyatt Kochi Bolgatty. The event will host eminent speakers from various police and security forces and many key private players and technology experts from around the world. c0c0n is organised by the international public-private partnership led by the Society for the Policing of Cyberspace (POLCYB) in association with Information Security Research Association (ISRA), Group of Technology Companies (G-Tech) and Kerala State IT Mission. c0c0n is a rare platform where one can discuss, showcase, educate, and understand the latest trends in information safety, cybersecurity and hi-tech crimes. It also throws light on the challenges and solutions of today’s cyberspace and data privacy.